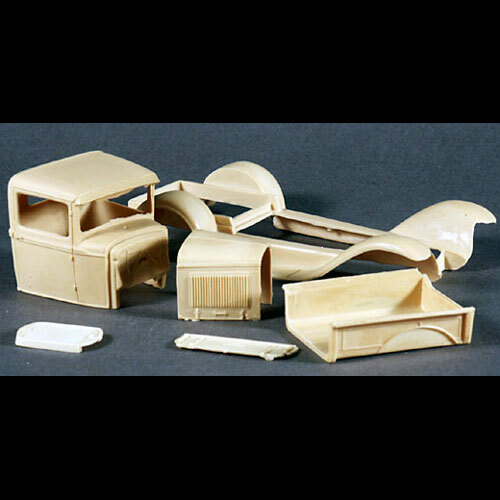 1930 1931 Ford Model A Pickup Resin Body Kit - Manufacturer Unknown. 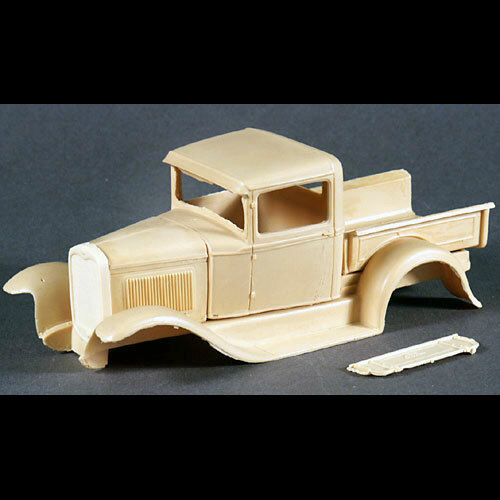 This 1/25 scale resin 1930-1931 Model A Pickup includes the body, hood, fender assembly, radiator grille, bed and tailgate. With a few donor parts, you could make a great period truck.